These heavy duty, rigid harrows with lever are designed for high-speed harrowing. 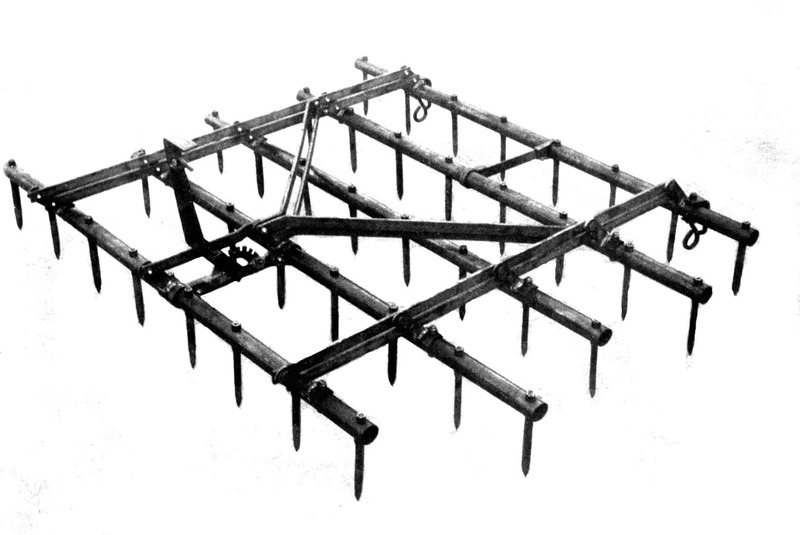 Built extra strong – (extra heavy tilting bars and braces), with extra distance between each tooth bar (13 inches), permitting the harrow to pull level at higher harrowing speeds. Made from heavy duty 1.9” O.D. high carbon steel tubing. 5/8” square material x 7 ½” long under the bar, with a 9/16” shank high-carbon tooth. Teeth are locked on with a lock washer and nut, and are guaranteed to outlast any other tooth of equal weight. All Pepin teeth are reversible and easily replaceable.